Start using the College Trip Planner! Or, read on to learn more about the best free tool for researching colleges and planning campus visits. The College Trip Planner helps you choose the schools that you want to visit. 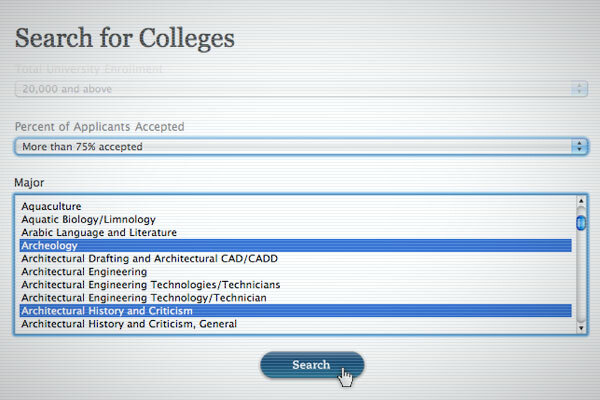 Find universities by keyword, or use our College Search to select the right schools for you. 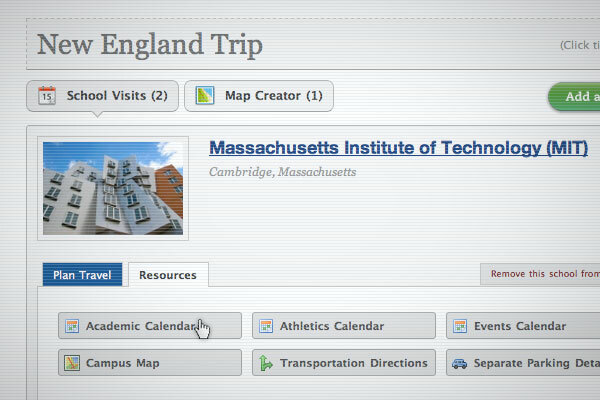 Add schools to The College Trip Planner, and then decide how and when to travel to them. We offer restaurant recommendations, directions, campus maps, and event calendars to help along the way. 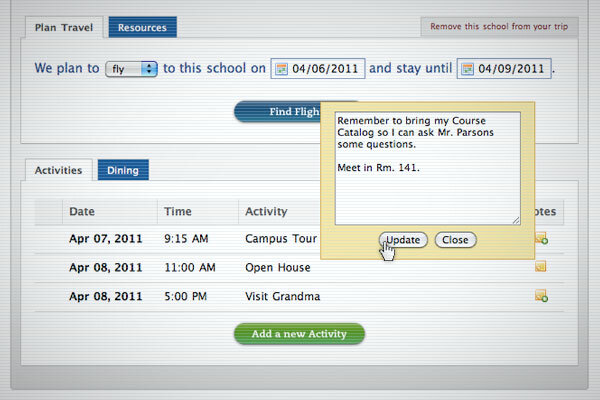 Easily find and schedule activities for your visits, from campus tours to admissions interviews to customized events. With The College Trip Planner, your plan is saved automatically so you can take it on the road. View sample itineraries for college trips. Start using the Go See Campus Trip Planner now!